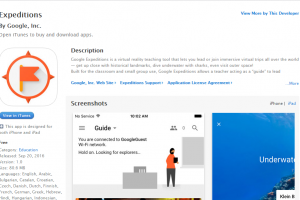 And if you’re a educator that hasn’t been living under a rock then you might wish you have been because these virtual reality products are quite expensive, especially when considering that most schools aren’t swimming in cash. The virtual reality wave is rising and while exciting to say the least, will probably leave schools high and dry. What school has enough money to outfit a computer lab with powerful enough computers and enough VR headsets for an entire class? Unfortunately, not many. 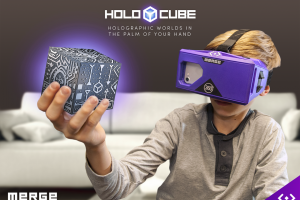 With most of these products averaging a couple hundred dollars per headset (again, not including the updated computers needed to run the software), it is currently prohibitively expensive for a school to jump into virtual reality. Though that barrier may not be a bad thing since virtual reality is definitely still in the unproven stages. The “research” jury is still out and there is no definitive study that has seen huge advantages of using virtual reality over traditional kinds of learning. Currently, there is a lot of hype surrounding virtual reality and it will be awhile before it dies down. In the meantime, we’ll keep searching for concrete evidence of the educational virtues of virtual reality. If you’re still itching to jump into the VR world then for a much lower cost, but perfectly serviceable entry, check out Google Cardboard. These headsets almost seem to be designed for the kind of (ab)use that K-12 classrooms experience. Depending on where you get them they can cost between $3-$30, a much better price for forward-looking but cash-strapped schools. 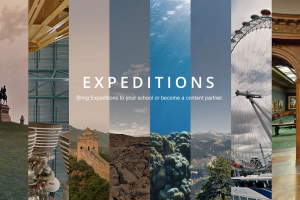 Finally, there is also the lottery-like Google Expeditions Pioneer Program in case you can wait.